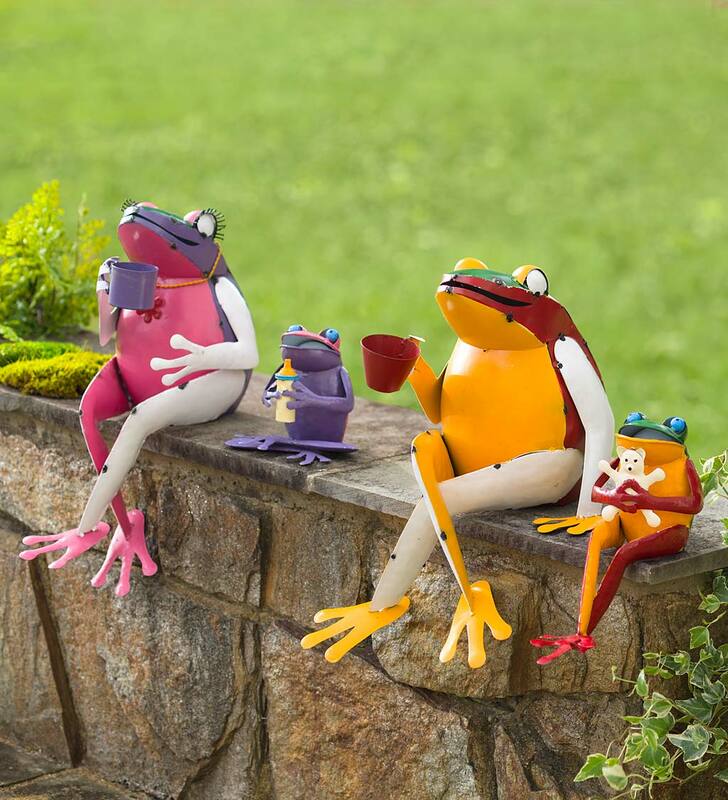 This whimsical set of four decorative Frogs will surely jump-start your garden decor. Colorful frogs are handmade of recycled metal and hand-painted in bright, cheerful colors. Dad sips his coffee and Mom, wearing a necklace and flirty eyelashes, sips her tea. Two adorable babies complete this fun frog family. One holds a teddy bear while the other holds a bottle. 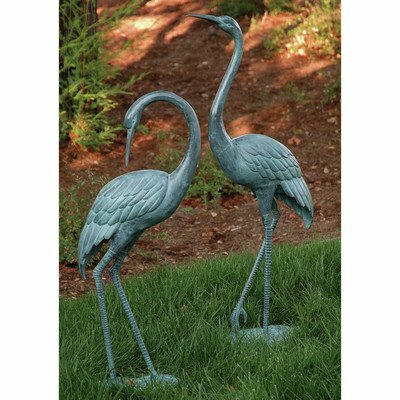 Set them on porch stairs, in the garden, or anywhere you want to bring a smile. These four are sure to be conversation starters wherever you put them. 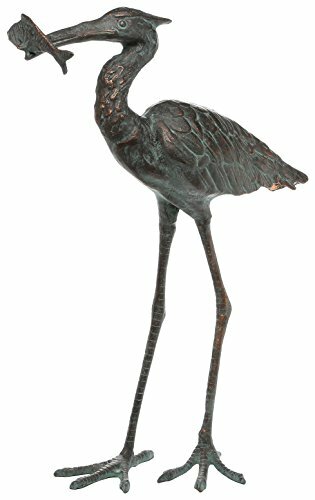 Handmade from recycled oil drums in Bali by local artisans - each one is unique! Size are approximate. Any loving mom will see herself in this sculpture, which captures a tender moment between mother and child. The colorful carrot is delightful touch. 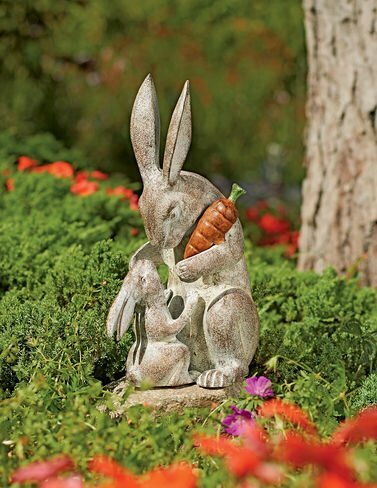 Cast aluminum with a soft white-washed bronze finish, weather-resistant and made to last forever, sculpture is 12.5" high and 7.5" wide and 6" deep. Enjoy indoors or out.